There is no tasting review of Larsen XO Extra d'Or yet, but the cognac house writes: Mellow, generous, with a rich velvety honeyed aroma. Well rounded charentais "rancio", trace of port with distinct presence of old tobacco. Larsen XO Extra d'Or is a blend of old eaux-de-vies from both Grande and Petite Champagne, well complimented with the lovely addition of that from the region of Fins Bois. Iconic decanter, love that Larsen style. I must say the price is really high but the cognac is also really, really good. Very smooth and floral. Lovely honey notes and dark fruit. Very round. 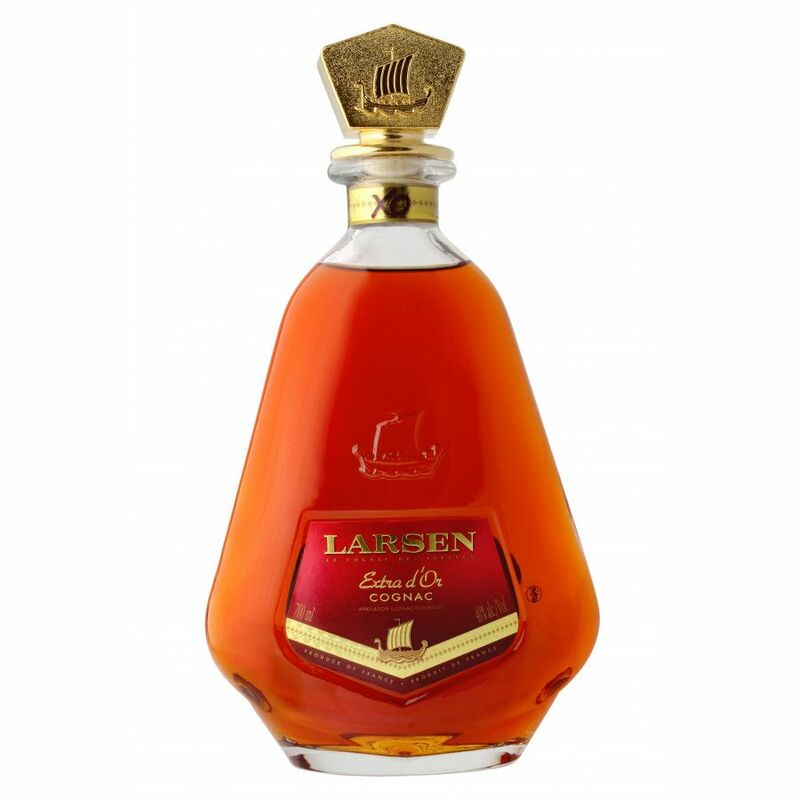 I was first introduced to Larson Cognac in 2000 when I went with my mother to Norway and visited for 6 week's. I was at the time learning about great tasting cognac's . I spent a few day's with my uncle Sven he had a walk in celler and showed over the nights I stayed with him and my aunt what was cheap and what was worth savoring the finer cognac. Hands down was Larson's it was much smoother then Remy Hine and Hennessy I have even been exposed to a 1890 Nepolien cognac and hands down there was a huge difference in taste and quality.I am sorry for saying this but I would compare it to Larson's XO was smoother and not as harsh as the rest of the ones that say they are cognac what a joke. I may be a blasfemere but given the choice I would prefer hand's down Larson's. I am very disappointed with the sale to Remy Martin so called a cognac producer of fine champagne cognac. Ha!!! I would close the business then to sell out and take the money and run more like ruin I say... This was and has been the standard and to sell the vineyard to a company that will run the name into the ground they may have the grapes but it's in the taste and quality that has sold the Viking's cognac.Now we have to deal with Remy Martin's tasters and their burnt out taste buds and palates will be the end of a legacy. It is truly a sad day and I will buy as much as I can afford before their good stock is converted to remy marins recipe for harsh and unrefined wood alcohol that they are selling now will only make the last of the old stocks of the remaining the most precious last barrel's left that much more important to buy up for a future investment that will pay off Big!! !I recommend that if you have the money to invest in a sure thing this is it!!! You can't go wrong I would garentee the price will increase especially for the finer vintages that Larson has for sell now .Good luck and good tasting ! !